So I would like labels of a layer to appear under symbols of another layer. For now I get a result like you can see below. 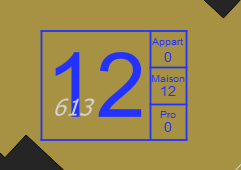 The blue squares with blue content is a personnalized symbol (linked to a database), and this is the main information to be displayed. The greyish number is a cadastre reference, which need to appear, but not so prominently. I also have sometimes some other labels on the same space, which I also would like to appear under the blue box. Does anyone know a way to do so directly in QGIS ? I don't think there is a way to do this in the map canvas itself. 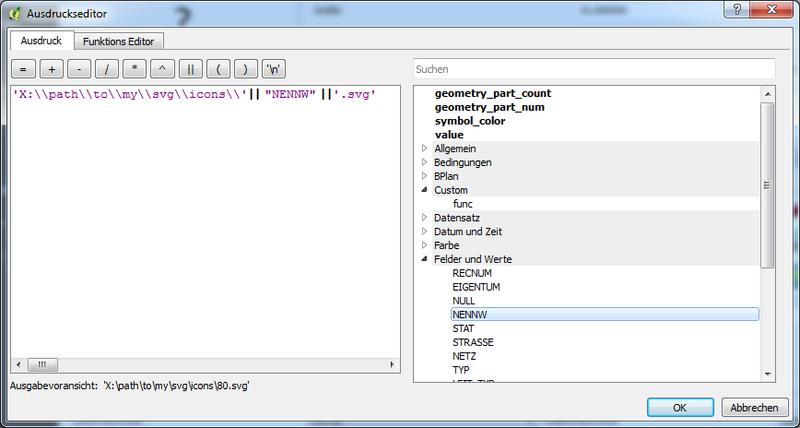 The labels will always be on top at least in QGIS 2.x. But for the print composer, you can work with two maps. They should be in the same location and placed one on top of the other. The bottom one would have the labels and no visible features and the top ones the vector features without labels. 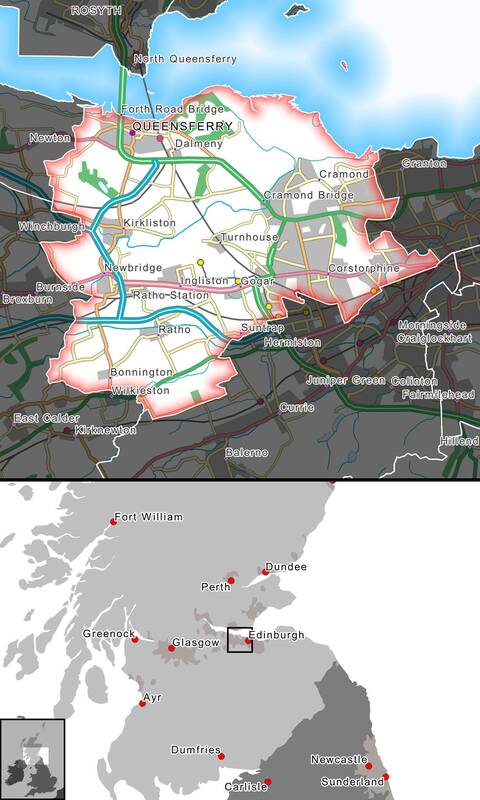 Here is an approach that might be useful, but lacks someway the great flexibility of layouting labels directly in QGIS. 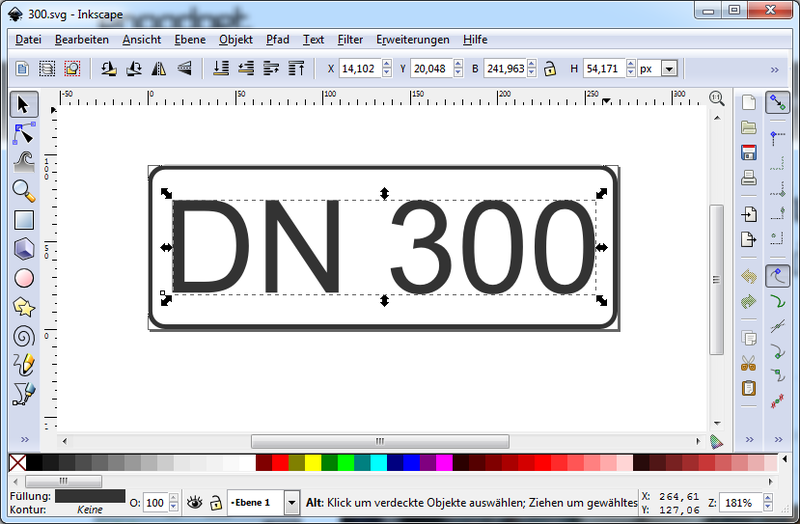 Design the Labels you desire in Inkscape. In my example, the width of the white background rectangle as to be adjusted too, taking the varying attribute text length into account. Note, that the resulting svg-files are to be named according to the attribute values, something like 300.svg, 200.svg or 80.svg in my example. Not the answer you're looking for? 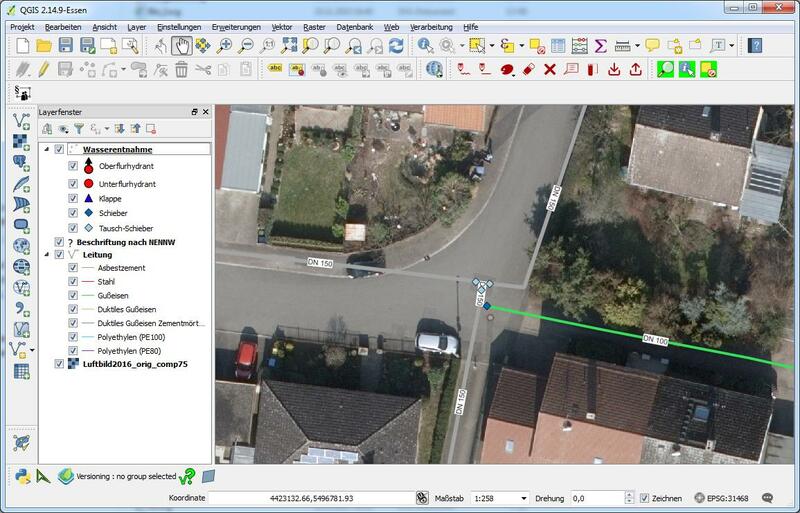 Browse other questions tagged qgis labeling layers or ask your own question. How to place labels under a vector layer? How to “Never Remove” labels in Maplex? How to group elements in QGIS legend side by side? Is it possible to set symbol layers always on top? 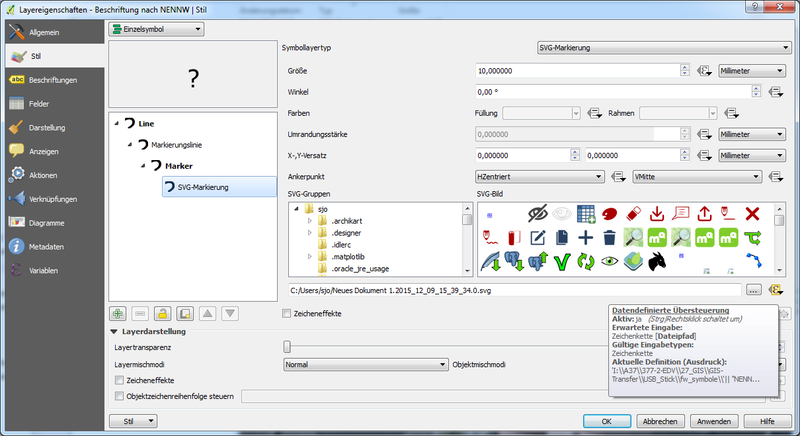 How to change symbol size in QGIS map composer legend?